Cauliflower? In a smoothie!? Whaaat!?! Trust me, this is sure to be the next micro-trend in juicing. Cauliflower creates a creamy, dessert-like treat that puts a smack-down on cancer, sugar cravings, and ramps up your healing. Packed with vitamin C, Vitamin K, folate and numerous more micronutrients, cauliflower gives your body a trifold boost in cancer prevention. It aids in detoxification (you know, how the body gets rid of that fried food waste, alcohol, and that gross exhaust you drove behind). Cauliflower provides antioxidants to aid in cellular repair (Hello, anti-aging help!) and cauliflower has nutrients to decrease the inflammation in your body (buh-bye arthritis!) Cauliflower has specifically been linked to bladder, breast, colon, prostate and ovarian cancer prevention. Sounds like you need to stop reading and start drinking! Creamy? Are you pulling my leg or for real? 🙂 Need to know. 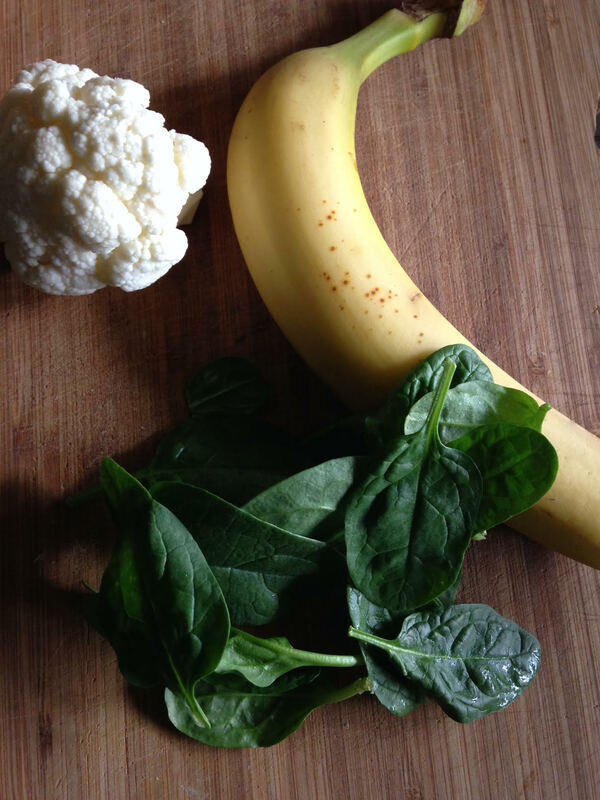 . .
and like adding an avocado makes a smoothie a creamer consistency, so does adding cauliflower. It’s not like an ice cream milkshake but I think you’ll enjoy it—I was enjoy things more when I know how good they are for me. Previous Previous post: RULE: Add Clean Protein and Greens to Everything!